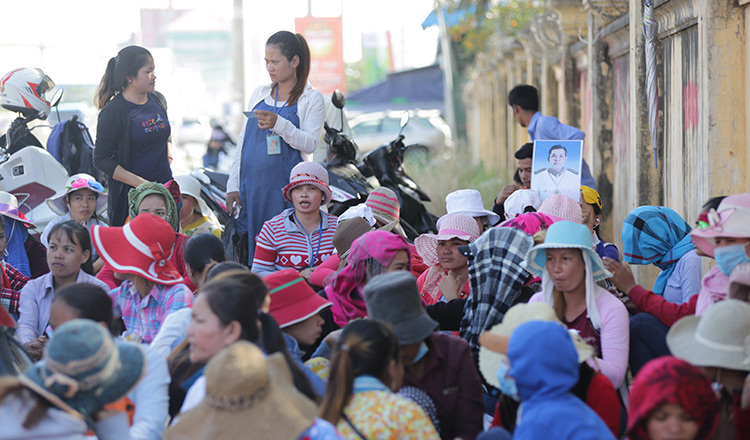 Nearly one hundred former garment factory workers in Phnom Penh rallied for intervention from Prime Minister Hun Sen yesterday after discovering that they will not receive as much compensation as promised by the Labour Ministry earlier this month. 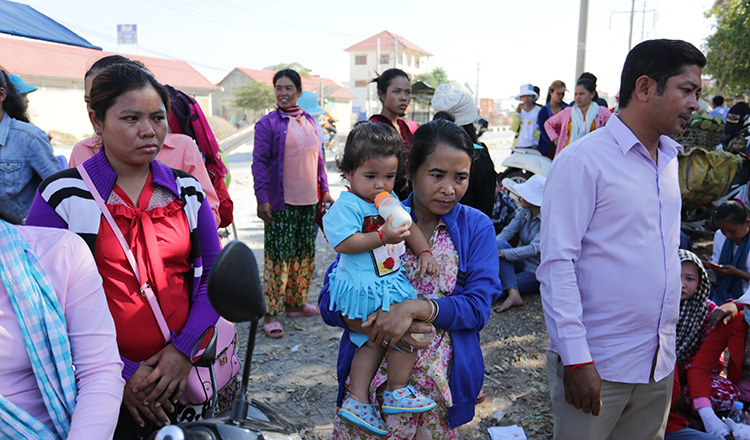 Early last month, Prime Minister Hun Sen said that the government was prepared to pay $4.6 million to 4,100 factory workers whose bosses fled. Each worker was to receive up to $1,100, depending on years of employment. Labour Ministry spokesperson Heng Sour could not be reached for comment yesterday. However, Mr Sour has confirmed in the past that some workers whose bosses fled will receive their wages and benefits, while others will have to wait until machines in their factories have been sold. 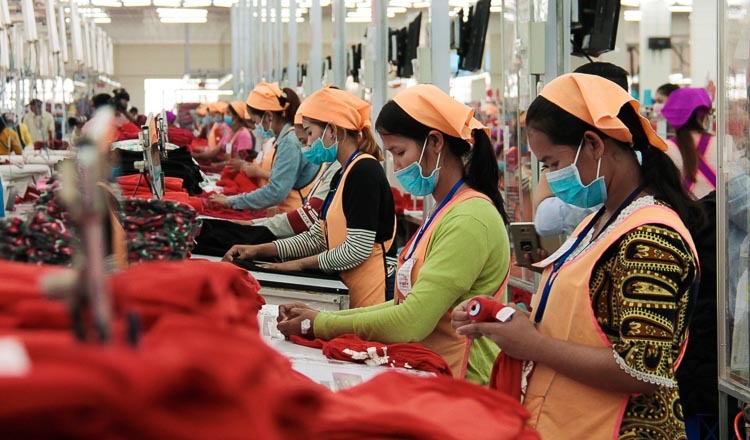 On April 3, the Labour Ministry issued an announcement to laid-off workers of four factories to come and receive their wages and other missing benefits between April 9 and 12 after a sub-decree by the Prime Minister. 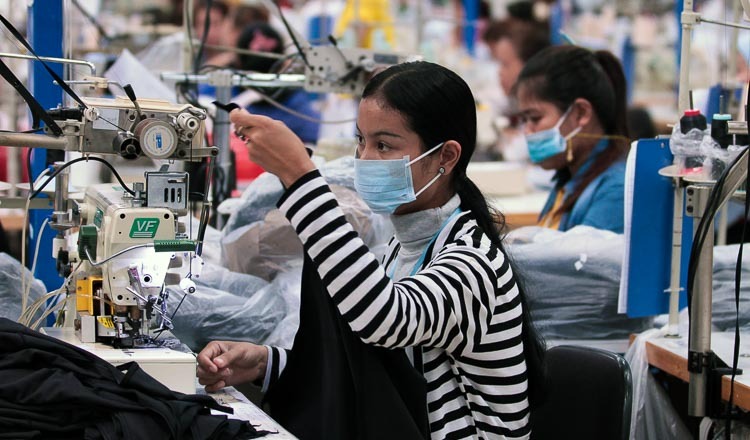 The factories include Benoh Apparel, Fu Da Garment Industry, Great Honour Textile Factory and Chung Fai Kintwear Ltd.
Thea Rat, a factory worker, said that most of her colleagues from the Benoh Apparel factory are not going to receive their full compensation. “We’ve come to check our names on the list. Most of them will get $40, $50 and $80. The amount is very little for most workers who have worked for many years,” she said. She added that most of the workers felt despair when they saw their names and the amount. Phang Tek Heng, a Benoh Apparel administration officer, claimed that the company regularly paid workers their severance when contracts ended. He added that labour unions are orchestrating for union members to demand more money than initially promised. Toun Saren, secretary general of the Collective Union Movement of Workers, said that some workers were happy when they checked the lists while others were disappointed. 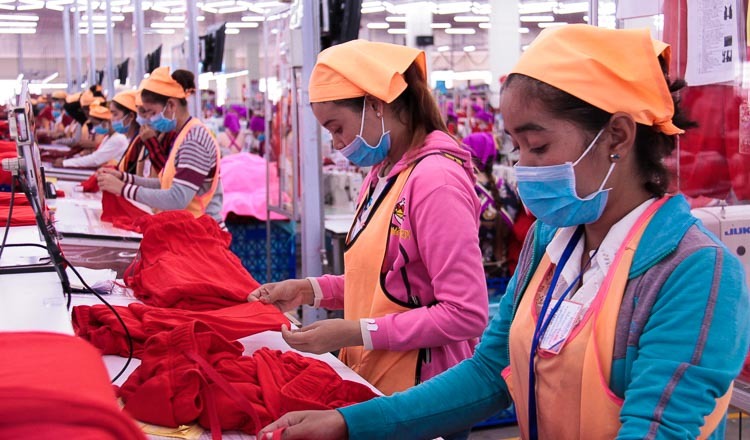 “For Fu Du garment factory, most of the workers agreed after they saw their names on the list. Some of them got $400 to $500 from the government, while some other workers didn’t agree to the amount listed,” he said. 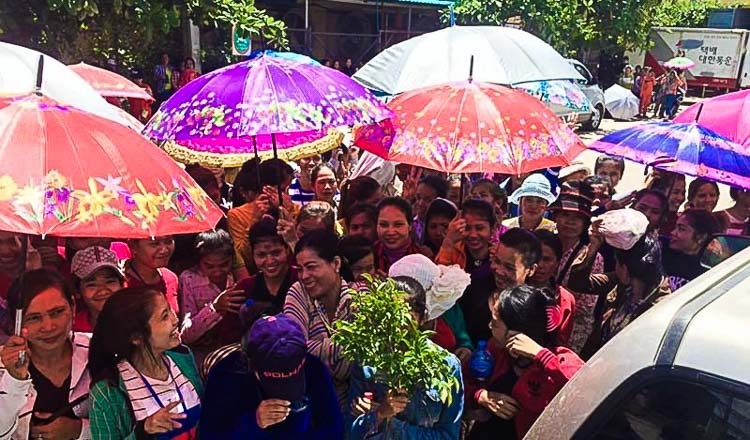 Mr Saren noted some workers are content about receiving money a week before Khmer New year. “They were waiting for a few months and they protested many times calling for intervention,” he said.